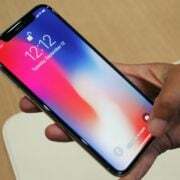 After removing the alphanumeric and QWERTY keyboards from its phones, Apple is preparing for a future without buttons on its portable computers. 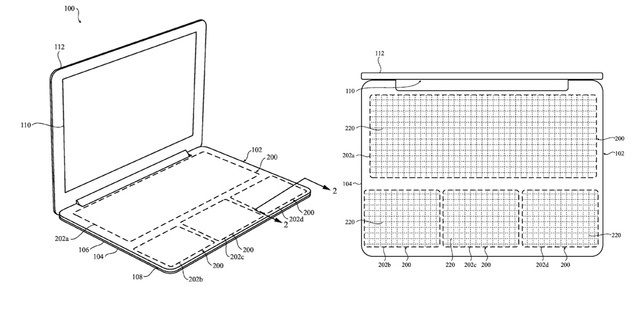 Even if at this moment this is only a patent for a laptop concept, which will use the 3D Force Touch technology to provide a tactile response, the result is called Zero Travel and might be incorporated in a finished product in the upcoming years. It is possible that this type of laptop will never be released, but certainly a concept exist somewhere in a secret laboratory of the company. 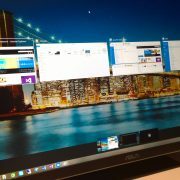 Apple suggested the integration of a secondary screen at the bottom of the computer, which can be used to display a keyboard. If an application require more buttons, the number keys on the right can be displayed anywhere on the computer. For those who want a tactile response even when they are not pressing any buttons, there will be small holes which are lit in a manner similar to the backlit keyboard on the Macbook, and the Force Touch technology would ensure that every keystroke is recorded only when there is enough pressure applied. Each touch of a button could be “felt” thanks to the Taptic Engine technology, already integrated on latest Macbook Pro, Apple Watch and iPhone 6S. 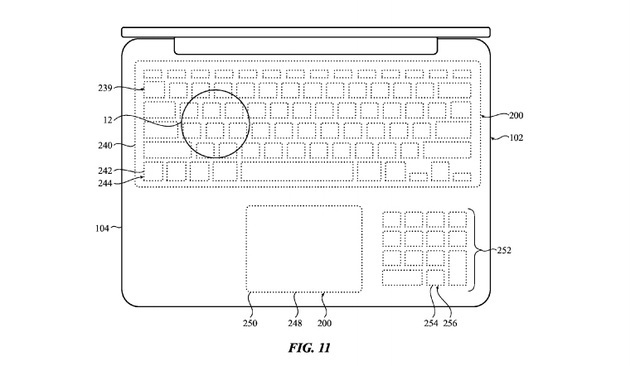 Currently, this is only a patent and those who prefer the usual keys will enjoy such keyboards for a long time. 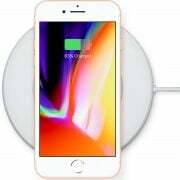 The integration of this technology is very costly and perhaps when the production costs will fall, Apple will provide such options, but at this point, it will remain a concept.